Locking your keys inside is frustrating and inconvenient. Balmain East Locksmiths provides a swift professional 24 hour 7 day emergency lockout service gaining entry into your premises without damaging your locks. Balmain East Locksmiths supply and cut a huge variety of keys to suit all styles of locks, from standard keys to old style mortice keys to rare antique keys to keys from foreign countries. Moved into a new property? Instead of purchasing new locks, we offer an affordable solution, by changing the combination of your existing locks and providing you with new keys and piece of mind that you are the only person with keys to your property. Too many keys on your keyring? Always unsure of which key operates which lock? If compatible, we can key alike your locks, enabling the convenience of one key operating all locks. We service and repair all locks, from old antique style locks to any modern style of lock on the market today. We custom manufacture and install security door and window grilles and security gates. These provide solid security barrier protection for your business. A large variety of locks are available for securing furniture, showcases, filing cabinets, desks, cupboards, drawers, chests, lockers and mailboxes. We supply and install, repair, service and make keys to suit these locks. 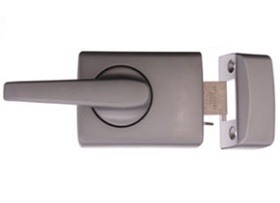 Abloy Restricted High Security and NMB Utilities locks available. Ausgrid, Endeavour Energy, Telstra, Sydney Water, Gas, Hunter and Central Coast Water. Fire Department and MLAK Disability keyed locks available.